Not on a year to year basis, but on a night to night basis. If you were a fan in the grandstands at East Bay Raceway Park you basically saw an entirely different track for 5 straight nights of racing at the same location. It doesn’t go unnoticed by the drivers either. Bobby Pierce commented on this very thing after the fourth night at the Tampa, Florida dirt track. Every night during Speedweeks, it was basically a different track. Is that a planned thing or is that more unpredictability of the weather? 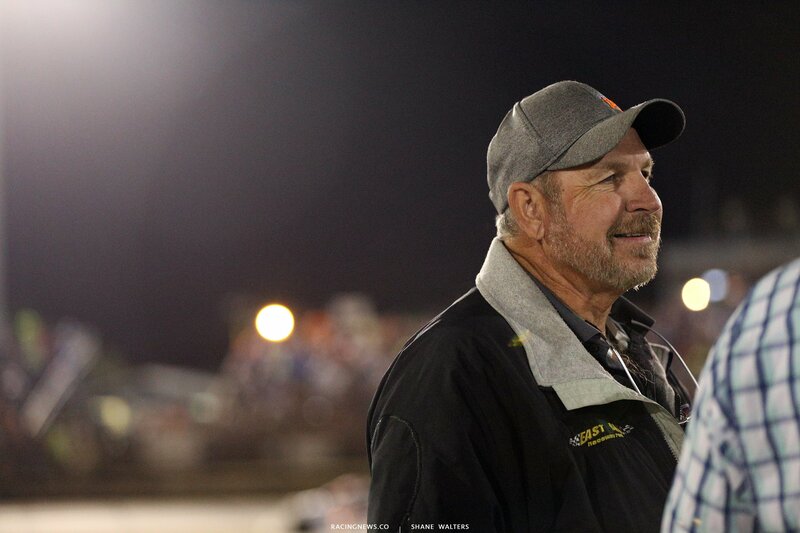 “Partially both, my goal is to have a different race track every night,” East Bay Raceway Park promoter Al Varnadore told RacingNews.co. I assume you save your favorite version for the last night? This interview was done just ahead of the feature event. As predicted, Kyle Bronson drove from 10th to win the main event at East Bay Raceway Park. I think if you’re running a week long show it’s good to have a different track every night. It’s basically what we see here. 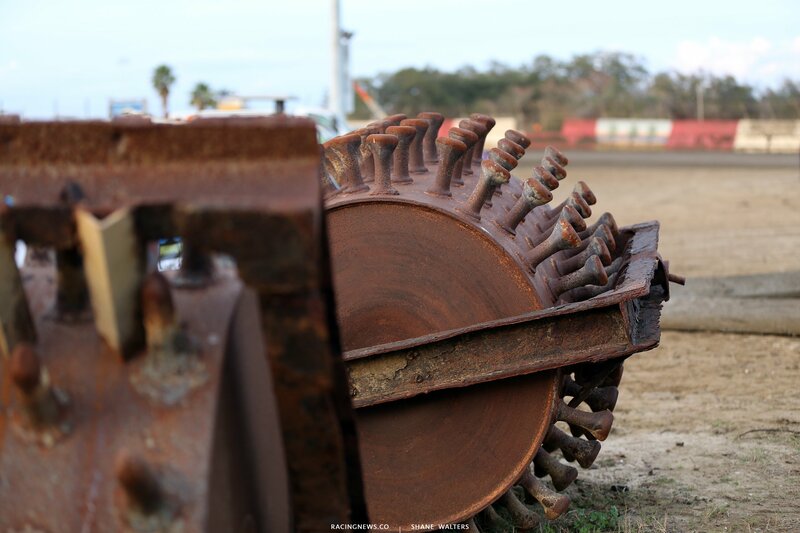 I’d say almost every dirt track has some kind of current or old equipment sitting in their infield. Yet, East Bay Raceway Park has more than any track I’ve seen anywhere else. Essentially, I think that explains a lot of the variation as well. There’s a lot of equipment in this infield. Is that stuff that you’ve just stopped using over the years and just left there? Or what’s the story there?